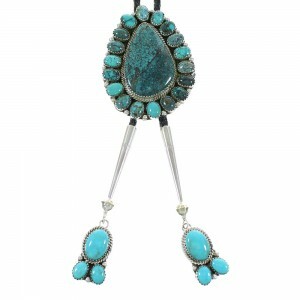 Native American bolo ties are synonymous with the Southwest. 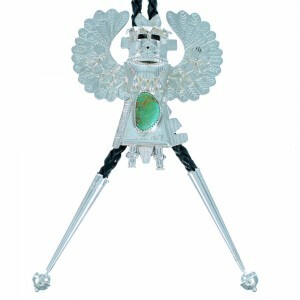 They have been crafted by several tribes for generations and were believed to be a valuable trading commodity in the 19th century. 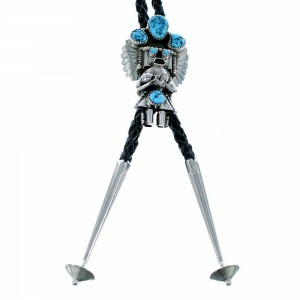 Today, Native American bolo ties are still one of the most sought-after items in the realm of Native American art and jewelry. 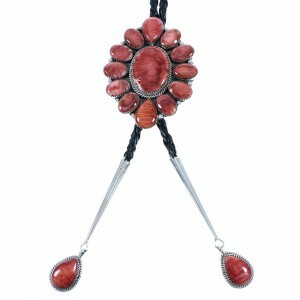 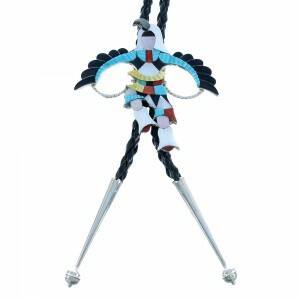 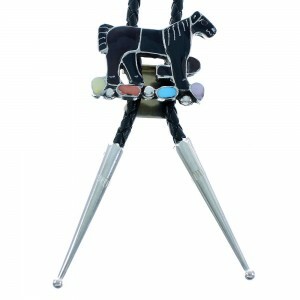 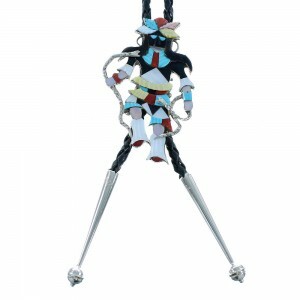 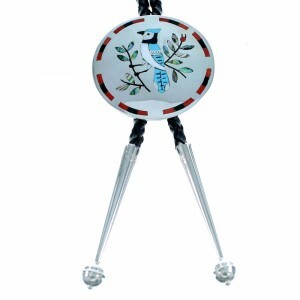 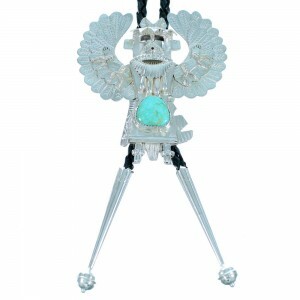 We have stunning Native American bolo ties as well as sets that include bolo ties and belt buckles. 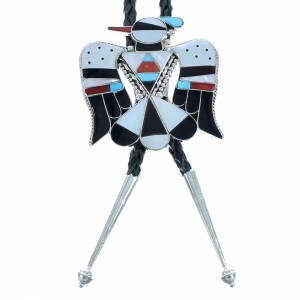 Like our belt buckles, our Native American bolo ties show diverse designs to reflect the cultural depth and history of those who first made these stunning pieces of jewelry. 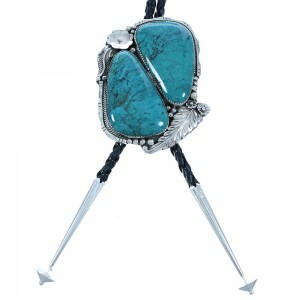 You'll find sterling silver and turquoise Native American bolo ties that use the overlay technique. 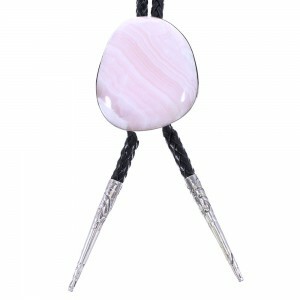 We also carry bolo ties featuring carved stone inlays that picture Southwestern landscapes and other imagery. 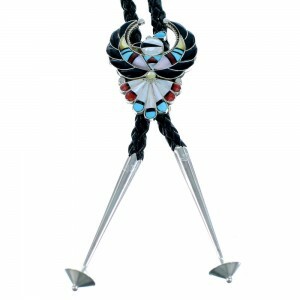 Native American bolo ties have been described as the "official neckwear of the state of Arizona," although the beautiful styles we offer transcend state lines. 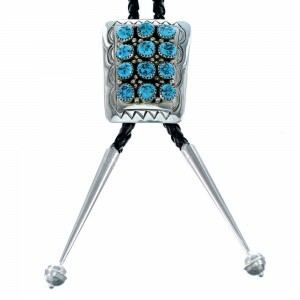 No matter where you live, you'll find a product that suits your style. 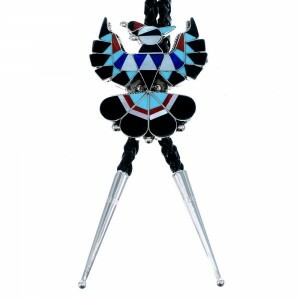 The history of Native American bolo ties still captivates many and the Heard Museum in Arizona actually has an entire exhibit dedicated to bolo ties. 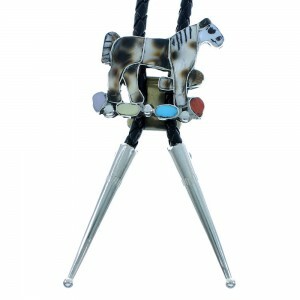 Luckily, our customers need only to visit SilverTribe to browse through our collection of Native American bolo ties. 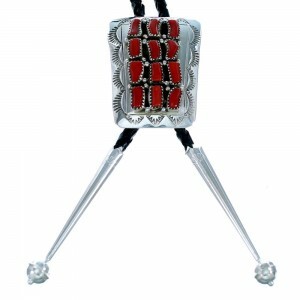 We also carry Native American belts to perfectly complement any of our bolo ties. 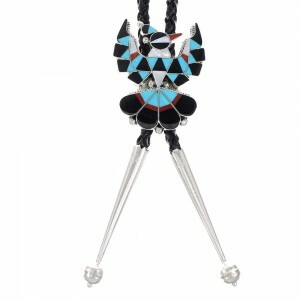 Native American belts are crafted from the finest materials to ensure the items you choose can be worn for years to come and passed down through the generations. 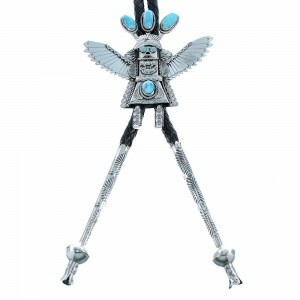 Our Native American bolo ties and belts lead the industry in quality and artistry and can be found at prices well below those you'd find anywhere else. 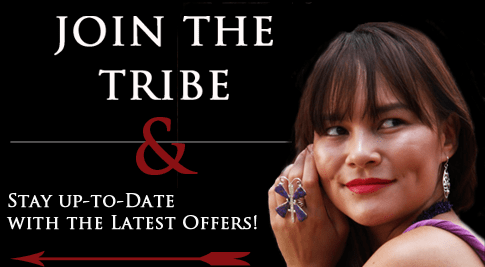 We offer uncompromising value and quality on every piece of Native American Jewelry we sell.